Posted January 11, 2019 . Our bodies work differently. 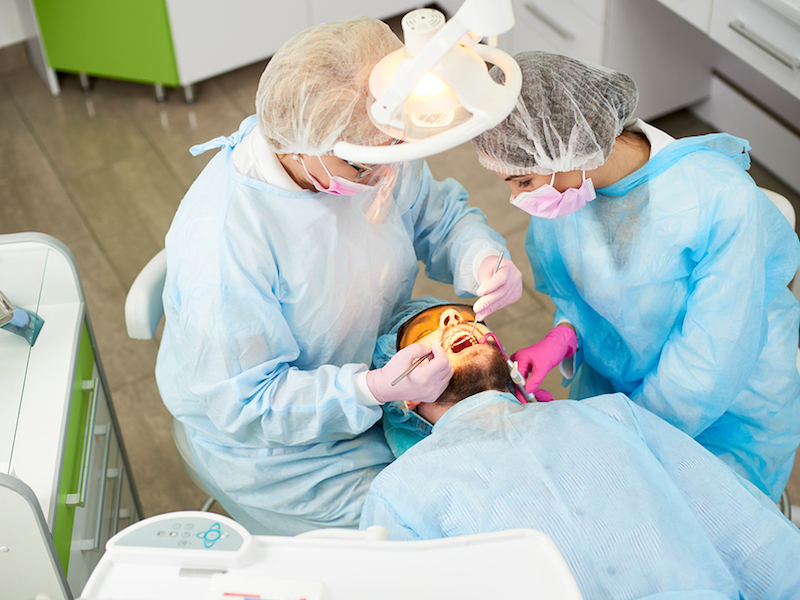 Some dental patients don’t respond to local anesthetics by getting numb. This is understandably concerning when you need dental treatment and the word “concerning” may be a huge understatement. It’s important to know that bad experiences in the past don’t guarantee that you will never be able to become numb during treatment. At Distinctive Dental Services, we take additional time and care with individuals who have historically had problems getting numb. Various processes used with different medications can overcome numbing conditions. We will find the perfect combination to make you comfortable with sedation dentistry in Lake Jackson. Let’s discuss the possible causes. Your body’s pH level is a measure of the acidity or alkalinity in blood and other fluids. Also referred to as acid-base balance, the pH scale goes from 0 to 14. A pH below 7 is acidic. A pH above 7 is alkaline or basic. 7.40 is considered a normal blood pH. Your lungs and kidneys work continuously to control your pH balance. When the pH level is abnormal, numbing agents can be less efficient. Medical conditions such as asthma, emphysema, untreated diabetes, and cancer can affect pH levels. If painkilling medications wear off rapidly, it could be due to an extra-active metabolism. Intensive exercise and caffeine can accelerate your metabolism. It’s best not to overdo either of these immediately before dental treatment. When administering local anesthetics, dentists need to locate your nerves, but everyone is wired differently and X-rays don’t always give a clear picture of the location of nerves. The size and shape of your jaw and the amount of fat and muscle impact where nerves are located. Some individuals even have an extra nerve where most people have only one. We get it. It’s not easy to stay perfectly still when your dentist is putting a needle into your mouth., but you want the painkiller delivered to the nerve and it’s difficult to hit a moving target. People with red hair and fair skin may need extra painkilling medication. This sounds wacky, but it is backed by science. The gene that generates hair color (Mc1R) also affects the pain receptors in the brain. The MC1R mutation that produces red hair is due to the production of pheomelanin. The presence of pheomelanin can intensify the body’s sensitivity to pain. This is another way people with auburn tresses are unique. But if you are a redhead who has avoided dental visits, please schedule an appointment by calling us at 979-297-0337. We can help you keep your smile as uniquely beautiful as your hair. Individuals who are extra nervous at the dentist may have problems with sedation dentistry in Lake Jackson. This could be due to a number of factors. Jaw clenching and holding your breath may change the way the body reacts to painkillers. Extreme anxiety may also affect the perception of pain even though there are no biological changes. Dr. Scott Elrod takes special care of dental patients who have difficulty getting numb. We use different medications and techniques to work around these issues. There is no need to abstain from sedation dentistry in Lake Jackson if you have had problems with anesthetics. Come talk to us. We will keep you comfortable during dental treatment.